The first record found on Yi Hong tea was around 1850s, written during the Qing Dynasty. This tea was a major export for China back then, to England first, then to Americas, Russia and other European countries. Between 1886 and 1888, the highest output of 15000 tonnes were recorded. This was around 7% of the whole China tea export at that time. The name "Yi Hong" was given because this tea had to pass through Yi Chang County before reaching Han Kou Port for export. "Jin Ping A" refers to the grade, and this is the highest grade for Yi Hong tea. 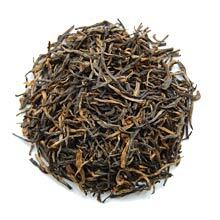 Only carefully chosen one-bud-one-leaf tea leaves from early spring harvest are used in its processing.